Season 3 starts on September 19! From then on you’ll get a new episode every nine days. This is only possible because of your generous support in making 99% Invisible the highest-funded journalism project in Kickstarter history. In the meantime, I still want you to listen to good stories, so I’m showcasing a piece from another podcast I think you’ll really like. I only recently started listening to BackStory with the American History Guys, but it’s already earned a top spot in my crowded weekly rotation. With great stories and lively discussion, the “History Guys” connect our history to the present day. They’ll also help you win your next argument about the causes of the War of 1812. Be prepared. This happens. 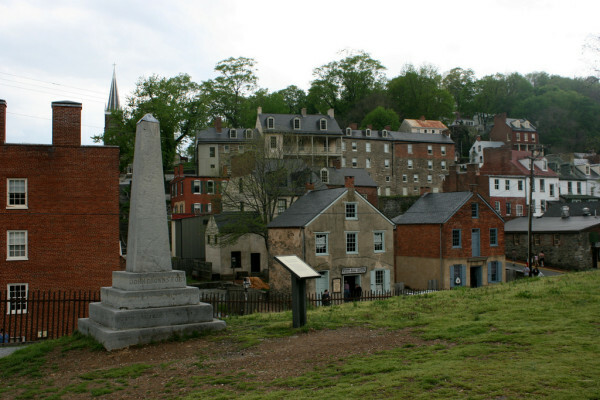 In this piece from their “Monumental Disagreements” episode, BackStory producers Eric Mennel and Nell Boeschenstein visit Harper’s Ferry, West Virginia to tell the story of a monument in honor of Heyward Shepherd, a “free black,” and the first man killed during John Brown’s 1859 raid. Always Read The Plaque: The text on and around this monument is stunning. I nearly fell down when I read this quote by the United Daughters of the Confederacy from 1905 (inscribed on the nearby Harper’s Ferry History marker) stating that the monument to Heyward Shepherd would “prove that the people of the South who owned slaves valued and respected their good qualities as no one else ever did or will do.” Rarely have I read a sentence that made me want to fall down laughing and punch someone in the face at the same time. I guess you know better than those who put up the plaque. What sheeple school did you go to? 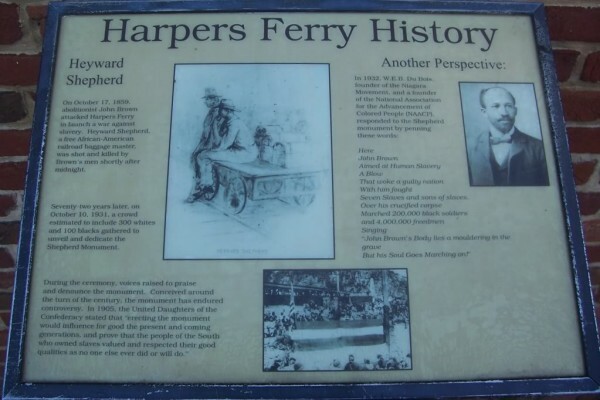 One should note that Harpers Ferry National Historical Park has some of the worst waysides (the object described as “the nearby Harper’s Ferry History marker”) in the National Park system. These signs do not conform with the NPS graphic identity standards (https://www.nps.gov/hfc/services/identity/) nor do they meet the interpretive standards met by waysides in most other parks. This is mainly due to decades of petty politics and the Park administration’s refusal to engage with the professional designers, writers, and interpretive media specialists at the Harpers Ferry Center (https://www.nps.gov/HFC/).